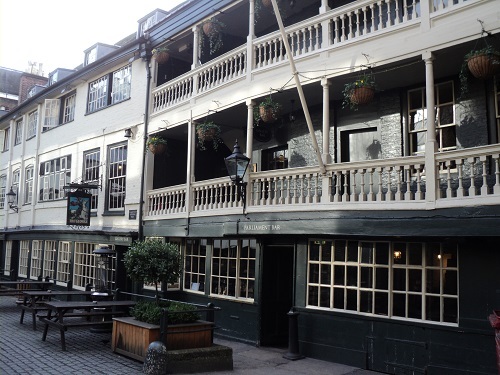 The George Inn is one of the most famous pubs on the South side of the River Thames, it is the last surviving galleried London coaching Inn and is currently owned by the National trust. 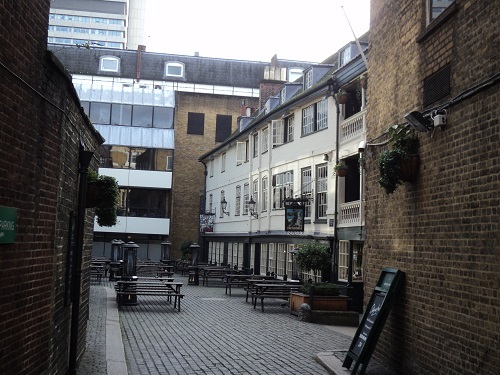 There has been an Inn on this site from at least 1543, and there are records that show the George was rebuilt in 1677 after the fire that destroyed much of medieval Southwark. 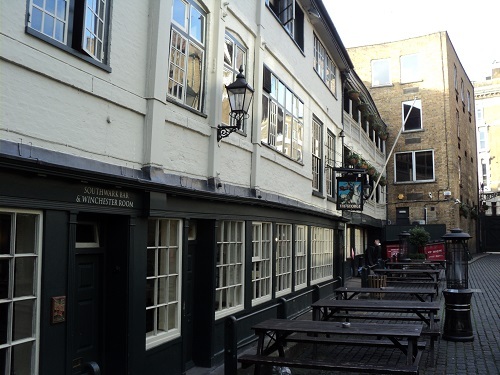 At this time there were a large number Inns in the area due to its proximity to London Bridge. 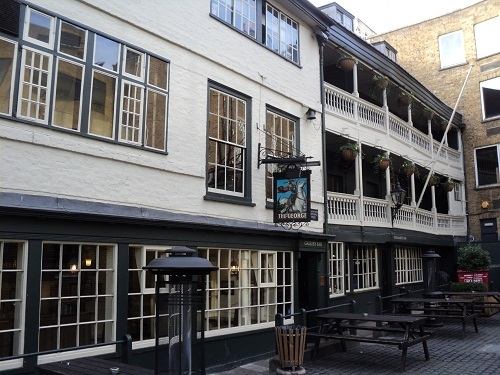 One of the most famous the Tabard where Chaucer’s Canterbury Tales pilgrims departed from was also rebuilt at this time but was eventually demolished in the 19th century. 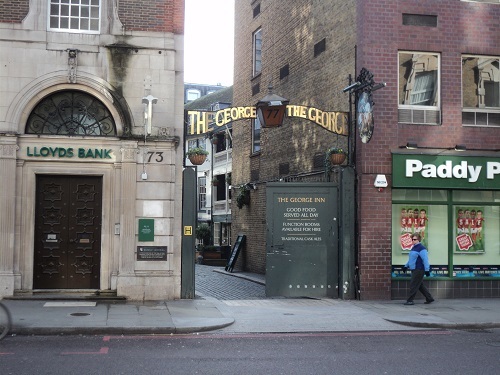 The pub has other literary connections being mentioned in Dicken’s Little Dorrit, this was an area Dickens was very familiar with because his father had been imprisoned in the nearby Marshalsea prison and there is evidence that he frequented the George on his travels through the neighbourhood. The building is Grade I listed, and has a host of small rooms and wonderful outside drinking area. Even if you do not go for a drink, it is well worth visiting and admire the galleries which once would have been vantage points for watching plays and events in the courtyard. By londonvisitors2014 in Bankside, Borough, Pubs of London on January 16, 2014 .